Most of us are sample sale aficionados because we can’t afford to pay retail prices. Some of us are because we love the thrill of finding a good bargain. But the rise of ethical consumerism has introduced yet another motive to keep us on our toes (while hunting for the perfect pair of heels): sample sales and luxury consignment sites save the planet. Ethical consumerism, ethical fashion, fair trade fashion, and sustainable fashion have all become ubiquitous in the world of fashion—but many brands also incorrectly use them interchangeably. It seems everyone from your BFF to your favorite brand is going green. I agree that “green is the new black” when it comes to fashion and shopping. We strongly encourage you to go green but it’s impossible to do that properly if you don’t have a solid understanding of what “green” truly means. And considering that it’s becoming more and more trendy, you have to make sure you’re discerning enough to be able to separate the truly green from the, well, aqua. We are concerned that articles like this one that proclaim things like, “The luxury resale market is expected to soar with the rise of mindful consumerism,” put too much emphasis on the “help the planet” factor and not enough on the “consignors can make a substantial buck on their used goods” factor. The article might simplify the reason why second-life merchandise thrives, but that doesn’t mean it is completely wrong. Our planet is better off with us purchasing less new merchandise. 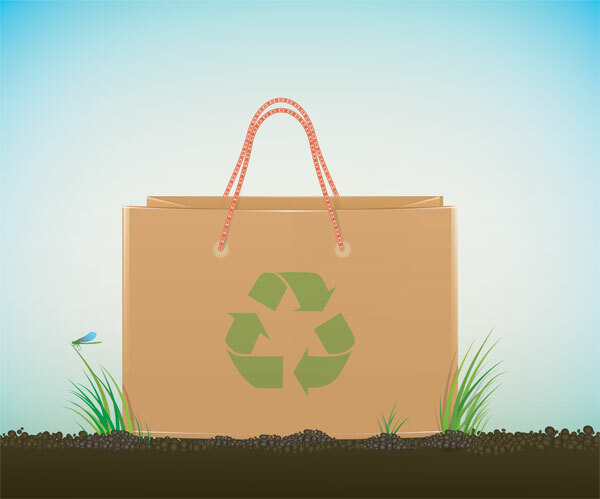 Brands are under pressure to score large profits and be sustainable simultaneously—and some are willing to do that at whatever cost… including taking advantage of naive consumers who don’t really understand what “sustainable” means. This practice even has its own name: greenwashing. Please, don’t be that consumer who falls victim to this deceiving marketing strategy—be immune to greenwashing and brainwashing alike! Understand the difference between ethical, fair trade, and sustainable fashion. Fair Trade Fashion is defined as fashion created by a Fair Trade Certified Group with the goal of empowering marginalised people. Sustainable Fashion is a product that is made with environmentally-friendly standards. Ethical Fashion is a broader term that can encompass fair trade and sustainable fashion but is not always explicit. Ethical fashion has no distinct set of rules, practices, or governing body. Fair Trade Fashion may also incorporate sustainable practice, including the use of organic cotton. Fair Trade Fashion are sometimes grouped under “Sustainable Fashion” when the production is considered “sustainable” to communities in providing livelihoods. So an alternative would be even further simplifying this process by buying at sample sales and consignment stores. Why? Because even if they don’t check the boxes, they’re at the very least: not new. That means you save them from being destroyed at the expense of Mother Earth. It appears that extending the life of a product instead of always conflating “new” with “better,” plus creating a culture around that idea might be a sensible thing to do… for now.